You are here: Home / Uncategorized / What Can Bioliner™ Plus Do For You? 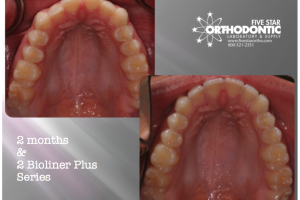 When it comes to modern day orthodontics, there are various techniques to give patients the perfect smile they desire. 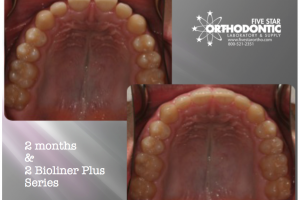 No longer do patients have to depend on traditional braces to get that smile. Many doctors have moved into clear aligner treatment as a substitute to the old school braces routine. 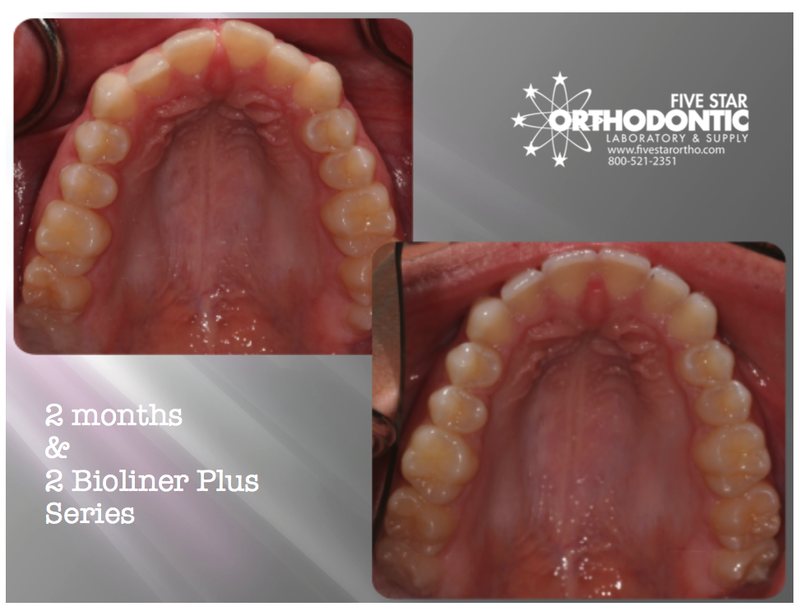 This innovation in ortho has reduced the embarrassment that braces can bring, especially with pre-teens and teenagers. While this innovation has revolutionized the industry, many problems can still occur in the process. Most doctors have run into problems with the final touchups of clear aligner cases, especially lower-anterior and upper-lateral rotations. 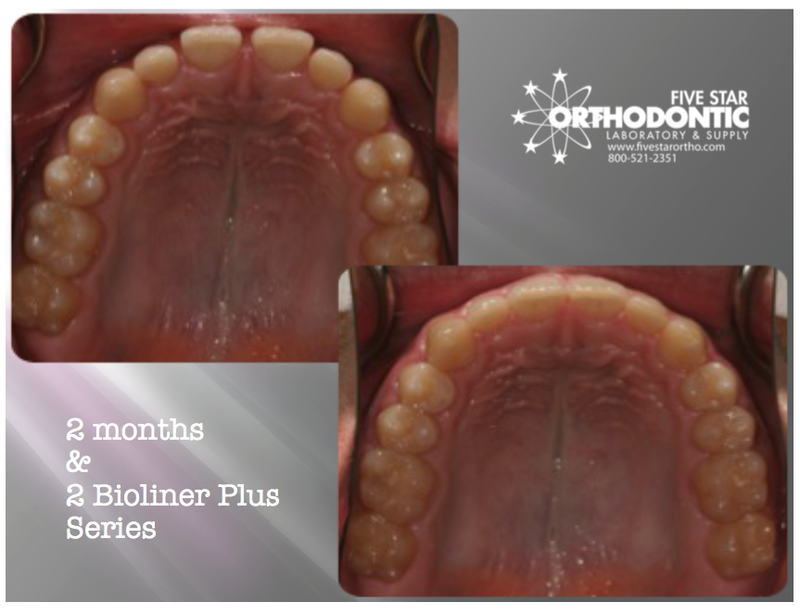 The BiolinerTM Plus is a fast, affordable solution for minor to moderate tooth misalignment and ortho relapse cases. The key is our soft, unique EVA (soft material) insert that gently moves teeth up to 1 ½ mm per aligner compared to ¼ mm from similar systems! The Bioliner™ Plus consists of a set of trays (A tray & B tray). The A tray contains the soft EVA insert that produces a gentle, continuous realignment on all teeth which have been reset. The A tray is worn for 2 to 3 weeks. 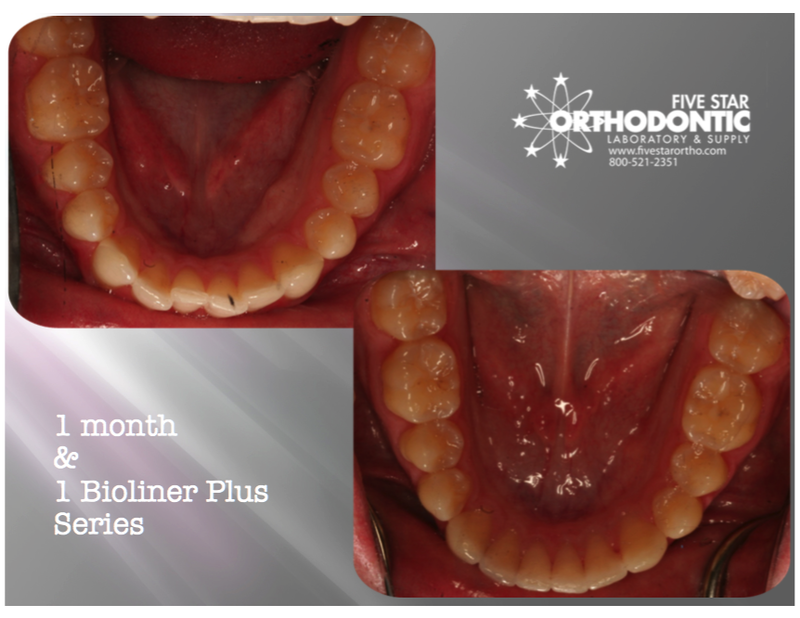 The B tray, without a soft insert, is then worn to finish for 1-2 weeks. Check out these results! 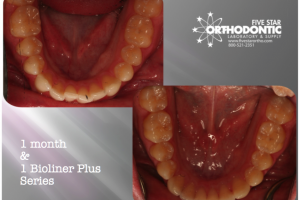 To start a case, simply send PVS impressions, stone models, or an intraoral scan. Five Star can accept all intraoral scans that produce a .stl file. Once we receive the case, the teeth will be reset to an ideal arch with our OrthoAnalyzer software, and then 3D printed. The BiolinerTM Plus trays will then be fabricated using those ultra-accurate printed models. Give us a call today to find out more about how BiolinerTM Plus can give your patients the smile they deserve, at a price they can afford!